10 alternating tire flips (or 5 reps on a HEAVY tire side by side). 6 alternating rope climbs (scale up to legless). 6 rounds with minimal rest between rounds. 8 barbell bench press AHAP. STRONGMAN/STRENGTH: (20 minutes max). 60 sec AMRAP HEAVY tire flips x 3 rounds. 12 down to 1 pull-ups. 1 up to 12 HEAVY AF Russian swings. *CTB pullups if you are able. TRONGMAN: (15 minutes) 3 rounds max reps tire flips x 45 seconds. Rest as needed between rounds. 7 heavy tire flips (heavier than you normally use). *Sub 10 burpees for DUs. *Scale UP to unbroken DUs if you're able. WOD: Partners -- similar strength recommended. 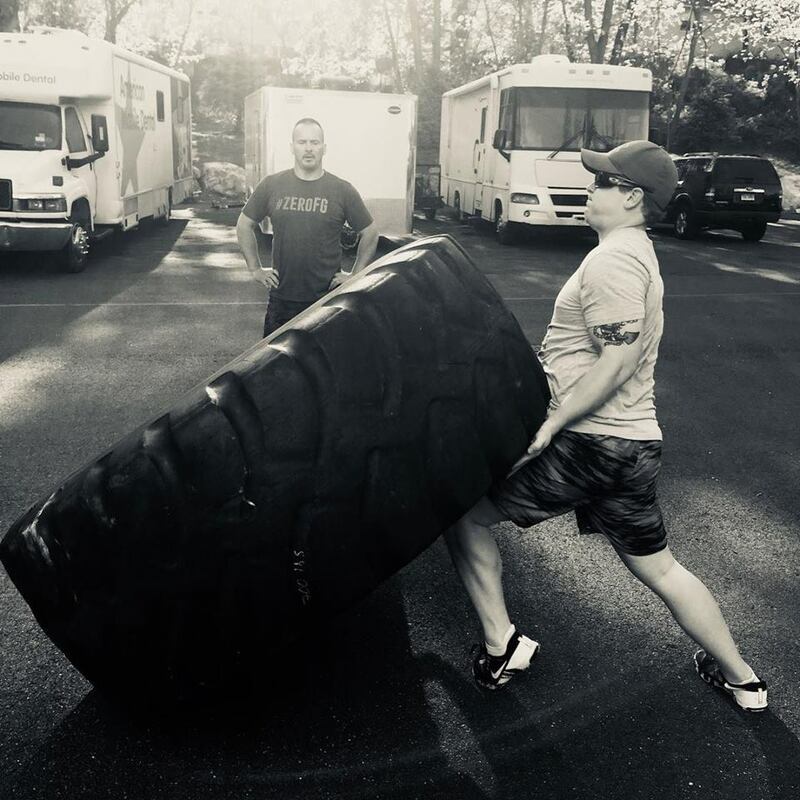 15 tire flips (rep for rep). 45 toes to bar (one person works at a time). 75 double KB front rack lunges (one person works at a time). *Bonus 10 rope climbs BPT or 10 trips across the monkey bars or up and down peg board Stamford. *The bonus is just ONCE after the team has finished 2 rounds. *Sub 60 hollow rocks for TTB.